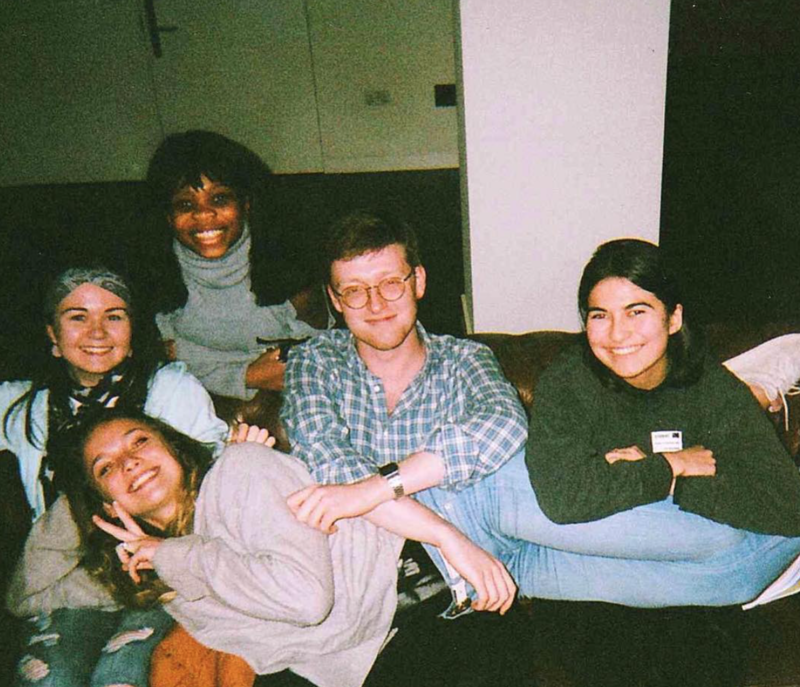 We know that we’re already one whole term into the academic year BUT it’s never too late to say hello… So we’re going to introduce the committee of 2018-2019. All of our committee members have a specific role but we’re a pretty relaxed and everyone works on all sorts to help out with our projects. First up is our incredible President, Matt Peniket. As President, Matt has lots of different roles but his primary role is to head up ThinkMental and inspire a conversation for mental health amongst his committee and our members. Next up is Anousheh Seddigh-Tonekaboni, our Community Engagement Officer. Anousheh is the brains behind our fortnightly Tea and Talks and also can be found hosting Q&As on our instagram stories. This year we have 2 amazing Campaigns Officers – Julia Bornemann and Nikki Hannon. These roles involve planning and executing ThinkMental’s campaigns and events throughout the year. Julia has been working with services at KCL to improve student support whilst Nikki has been representing ThinkMental at various collaboration events. Habiba Paracha is our Charity Officer this year. Habiba has arranged meetings with our partner charities this year and helps to bring together the necessary bits and pieces that allow us to raise money for charities that we support. I’m in my second year of International Relations and I’m an enthusiastic learner of what shapes the world and society at larger. What drew me to mental health were the books I read and the impact mental health had on people lives; Haig’s Reason to Stay Alive was a phenomenal biography over the importance in talking about these issues. When I’m not studying or reading memoirs, I dabble in yoga and boxing. Sizi Komakoma, our Publicity Officer, works hard to help ThinkMental reach as much of the student body as possible. ThinkMental has a presence on lots of social media platforms so keeping these up to date requires a lot of work from Sizi! And finally, I’m Holly Phoa. I’m this year’s Vice President, Treasurer and Secretary. It’s a really long-winded way of saying that I support Matt with running the society and I deal with all our admin, funding, expenses and turn all our exciting big ideas into a reality (mainly involves a lot of emails and form filling). I’m in my 3rd year of Medicine and have also done an intercalated BSc in Women’s Health. I joined ThinkMental after being introduced to the society by our previous president / my friend Izzy and was inspired to get involved. I’m very passionate about opening up the conversation on mental health in all walks of life but especially in medical students and the medical profession as a whole. I’m also big fan of mindfulness and the incorporating it into our daily lives. I practice yoga, meditation and mindfully stroking my cats. Thank you for stopping by to find out more about us. We’d love to get to know you all too! Come to any of our events and say hi to someone on the committee (you know who we are now so no need to be shy!). P.S. If you’re interested in sharing something (art, poetry, stories etc.) on our blog, get in touch with us via email!